Aubrey Woods, known for his roles in Doctor Who and Willy Wonka and the Chocolate Factory, has died aged 85. 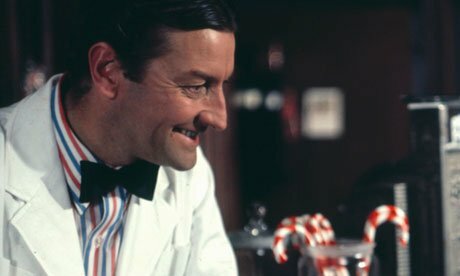 Aubrey Woods played the sweet shop owner who sang The Candy Man in the 1971 film based on Roald Dahl’s classic book. The London-born actor also appeared as The Controller in 1972 Doctor Who serial Day of the Daleks. Aubrey Woods’ stage roles included the parts of Jacob and Potiphar in the 1991 West End revival of Joseph And The Amazing Technicolor Dreamcoat. He died in Barrow-in-Furness in Cumbria, his wife Gaynor has announced. Aubrey Woods’ career began at the age of 17 when he played Smike in the film The Life and Adventures of Nicholas Nickleby. In the 1960s he then spent three years on stage as Fagin in another Dickens adaptation, Oliver! His other roles included the theatre musical The Four Musketeers and the radio version of The Hitchhiker’s Guide to the Galaxy, while he also wrote the play Trelawny, which was in the West End in the 1970s.